If you are looking to change the look of your home exterior, adding outdoor spot lighting in front of your home should do the trick. Adding spot lights to trees is a great way to enhance the look and ambience of your lawn or garden. Also, when you incorporate illumination into your home exterior, you do not only create a beautiful facade, you also add a valuable safety feature to your home. 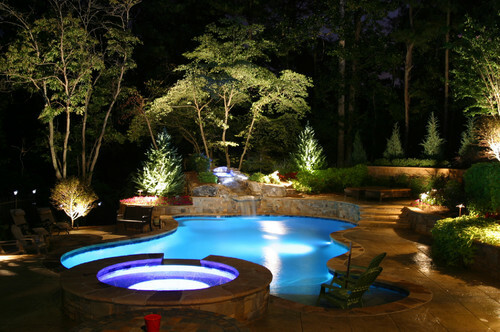 You will need a certified electrician to inspect the areas where you would like to have the outdoor spot lights installed. To lower the risk of electrical shock and fire, the electrician will have to run the proper wires to each of the trees where the spot lights will be installed. Purchase the outdoor spot lights that will fit your specific lighting needs. These can be bought from your local lawn and garden specialty store. 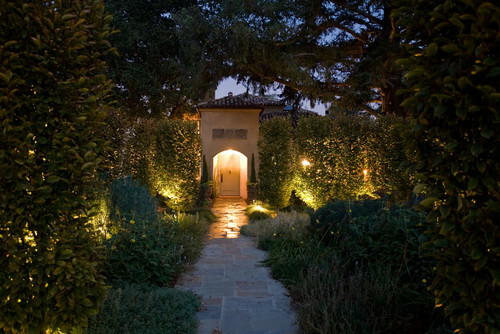 Generally, spot lights that are used for outdoor landscaping and safety lighting feature a medium brightness rating and are painted and textured so that they blend in well with your landscape. There are also some spot lights available for commercial use and these are much larger and brighter. The next thing you will need to do is decide at what angle you would like the trees to be lit. The spot lights can light it from the top so that it shines downward, or you could have the fixtures illuminate upward to create a shadow effect. A band-like attachment usually comes with most outdoor spot lights. This attachment wraps around the tree or pole and is fastened using a screwdriver. Check the attaching mechanism that came with the outdoor spot light that you have chosen. Attach the spot light to the tree based on the package directions. Have a certified electrician attach all electrical wiring to ensure that this is done properly. Test the lighting and make sure that it is properly secured and operational.